Solar panels are the devices that are added to you cars for making them work on solar energy when there is a sudden breakdown of the battery of the car. When you are searching for high quality Solar panels and that too at affordable rates, TJM is here to help you. We have a wide range of cheap solar panels to offer. We assure you high quality solar panels at reasonable rates. 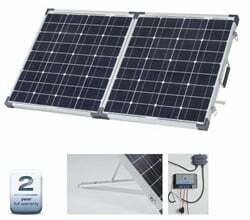 Our range of Cheap Solar Panels includes: Guide 10plus, Ecoboxx, Portable Solar PS80, and many more. We also provide you a large number of 4WD car accessories. Visit us and know more.